Yup. who needs sleep when you could be helping a friend fluff crepe paper balls at 4am? Certainly not me 🙂 Obviously this was going to be an amazing party! This momma had thought of everything!! From customized water bottles to a candy bar. It was amazing. Even better, she’d sprung for a deal-site special on a woman who was going to come and lead a tea party for the girls. 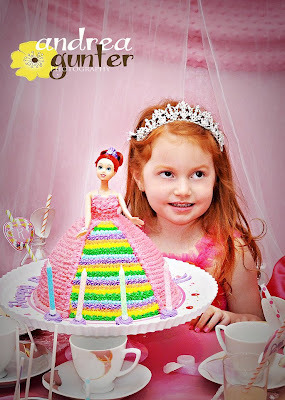 The Little Tea Spoon, which incidentally uses the same theme as my business cards on their website, offers birthday parties, tea parties, baby showers and more. We were all excited to see what she’d come up with! However, this ended up being a fiasco as she was supposed to show up 45 minutes before the party to set up and didn’t arrive until well after the party started at which point she proceeded to set up as if she was early, which was to say slowly. I totally understand this is Northern Virginia and traffic happens, but if the terrible happens and you’re over an hour and a half late, you have to compensate with speed! The girls were definitely hungry and ready to party and had to wait for quite some time. (I wasn’t asked to do a review, I was just so unimpressed, I asked my friend if it would be okay if I did a warning) The girls had a great time with each other and didn’t notice that things weren’t going according to plan, of course. 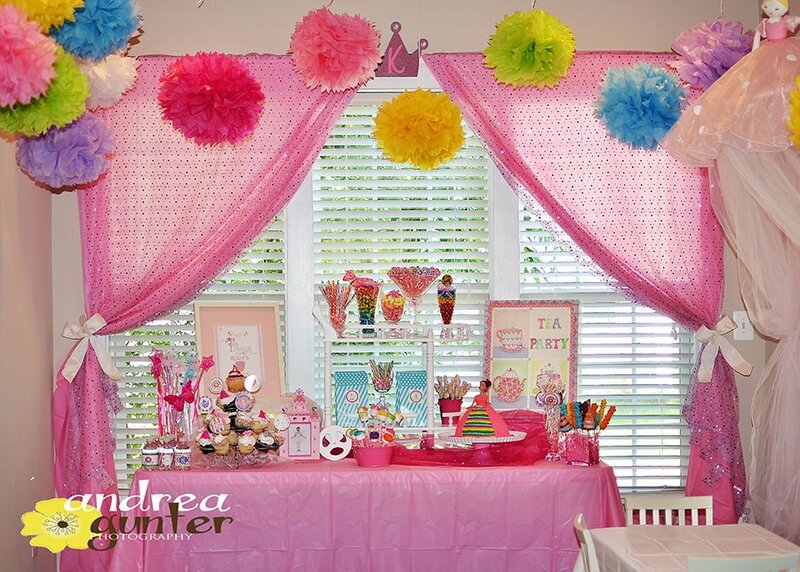 The stand out from the party (besides the gorgeous decorating) was Andrea Gunter, who came and took party pictures. Honestly, this had never crossed my mind, but I thought it was completely genius!! You’re always so busy during a child’s party, you never get all the pictures you want!! Andrea had a great rapport with the kids and seemed to know exactly which shots to make sure to get without being intrusive. She’s didn’t ask for a review, either, but I was so impressed with her work that I wanted to share. 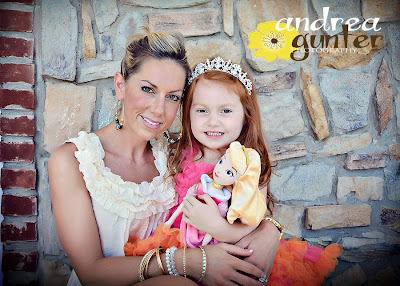 Andrea Gunter Photography offers portrait sessions, mini sessions, birth announcements, maternity shots, family and more. Check her out on Facebook. I love the very clean look to her pictures. These two are naturally gorgeous, but the pictures are awesome, too! So there you have it, the vendors from my daughter’s best friend’s birthday party. One I’d pass on next time, and one who was fantastic! 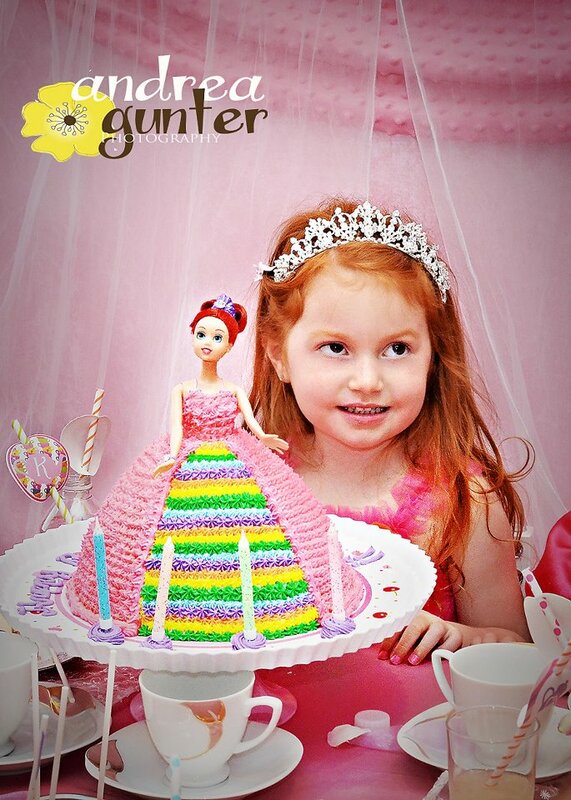 Who’ve you used that made your child’s party even more fantastic? Leave a comment below and share with the crowd! 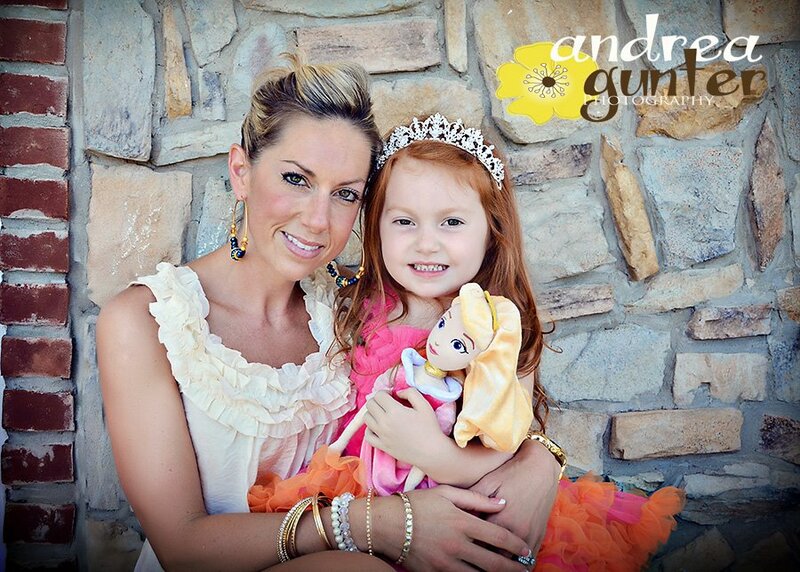 Have you ever hired a photographer for your party?